Kelly Reilly Web • The leading Kelly Reilly fan resource! KellyReilly.org • Kelly Reilly Web • The leading Kelly Reilly fan resource! Britannia Series 1 DVD & Blu-Ray Details Revealed! Britannia: Season 1 will be available on Digital Download, Blu-ray and DVD on 26th March 2018 from Sony Pictures Home Entertainment. The hit Sky Atlantic series was created by Jez Butterworth, (Spectre, Jerusalem, The Ferryman) and stars Kelly Reilly (True Detective), Zoë Wanamaker (My Family), David Morrissey (The Walking Dead), Nikolaj Lie Kaas (Follow The Money) and Mackenzie Crook (Pirates Of The Caribbean franchise). Britannia begins in 43AD as the Roman Army, determined and terrified in equal measure, returns to crush the Celtic heart of Britannia – a mysterious land ruled by wild warrior women and powerful druids who can channel the mysterious forces of the Underworld. Arch Celtic rivals Kerra (Kelly Reilly) and Antedia (Zoë Wanamaker) must face the Roman invasion led by the towering figure of Aulus Plautius (David Morrissey) as it cuts a swathe through the Celtic Resistance. In 43AD at the far edges of the Roman Empire Kerra (Reilly), daughter of the King of the Cantii, is forced to put her differences aside with arch-rival Queen Antedia (Wanamaker) to face the arrival of invaders. The Romans, led by General Aulus Plautius (Morrissey), are determined to succeed where Julius Caesar failed and conquer this mythical land at the far edge of the Roman Empire. Aulus is a strong and resilient leader, but harbours a deep secret that threatens his mision. As tribes and Druids unite to fight the Romans, Kerra is thrust into the most important role of her life as she spearheads the resistance against the might of the Roman army. Bonus features on the release are two featurettes – Rome’s Pagan Nightmare and Bloody Birth of Britain. The TCA (Television Critics Association) continues their annual fall and winter tour of new series in Los Angeles today with Paramount taking the stage to promote its transition from Spike to ParamountNet and show off the awaited series Waco, Heathers and last but certainly not least, Yellowstone. Kelly, alongside co-stars Kevin Costner, Luke Grimes, Cole Hauser, Kelsey Asbillie and Gil Birmingham were in attendance to talk about the series. After a quick promo reel for the show, in which at one point we must see Kelly’s character Beth charging at wolves, Kelly revealed that she was terrified during that scene as there were 6 very real wolves involved. Way to go, Kelly! With less than 30 days until the series premiere of their new series, Britannia, Sky has begun to release more information including this in-depth pack of treasures. Inside is a character guide, some behind the scenes looks at production, an episode guide, Q&A with Kelly, David, Zoe, Mackenzie and creators Jez and his brother Tom, and much more! I’ve got the entire set of pages uploaded to the gallery and you can view it all by clicking on the links before. Spoilers ahead, so consider yourself warned. 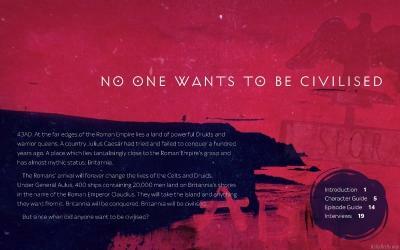 Nobody wants to be civilised after all. 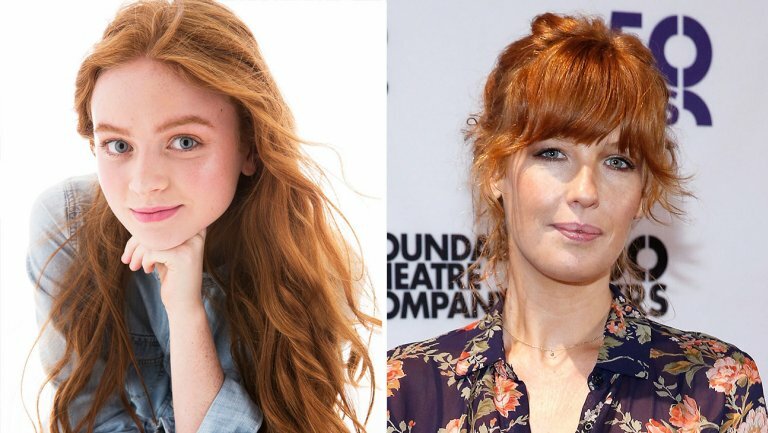 Stranger Things newcomer Sadie Sink and Kelly Reilly, who appeared in season two of True Detective, have joined Eli, a horror film from Paramount Pictures’ Paramount Players label. Captain Fantastic actor Charlie Shotwell is playing the titular role of Eli in the project being directed by Ciaran Foy (Sinister 2). The story centers on Eli, an 11-year-old who moves into a “clean house” to treat his autoimmune disorder. Unable to leave, Eli soon realizes that the house, and the doctor who runs it, are more sinister than they appear. Sink will play an alluring local girl who befriends Eli and has a curious knowledge of what goes on inside the facility. Sink, who starred as the title character is the Broadway revival of Annie, was one of the newcomers to the cast of the second season of Stranger Things, playing redhead May Mayfield. She also co-starred in the short-lived NBC series American Odyssey. She is repped by Paradigm and Mara Entertainment. Reilly will play Eli’s devoted mother, who will give anything to protect and cure her only child. The script by David Chirchirillo made the 2015 Black List and Blood List. It was revised by Ian Goldberg and Richard Naing. Trevor Macy is producing via his Intrepid Pictures banner, along with Bellevue Productions’ John Zaozirny. Matt Alvarez will executive produce, with Melinda Nishioka co-producing for Intrepid and David O’Leary co-producing for Bellevue. Eli is due to begin shooting at the end of January 2018 in Atlanta. It has a Jan. 4, 2019, release date. The day we’ve all been waiting for is here! Sky finally announced the premiere date for Britannia and as previously suspected, it’s a lot closer than you might think. I’ve also got screencaptures of Kelly as Kerra, Princess of Cantii from this new trailer now in the gallery.